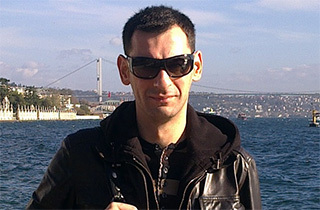 Onur AYYAVUZ(a.k.a. ovumix) is from Denizli, Turkey. Orhan KAYNARCA who is the first DJ in Turkey is his uncle. He’s performin DJ’ ing till 25 years. He worked in Turkey’s legendary CLUB FACES ANKARA for 4 years and played like guest dj around the world. The styles that he play:DEEP HOUSE and NU DISCO for many many years. Also he had many compilated albumes in Turkey.